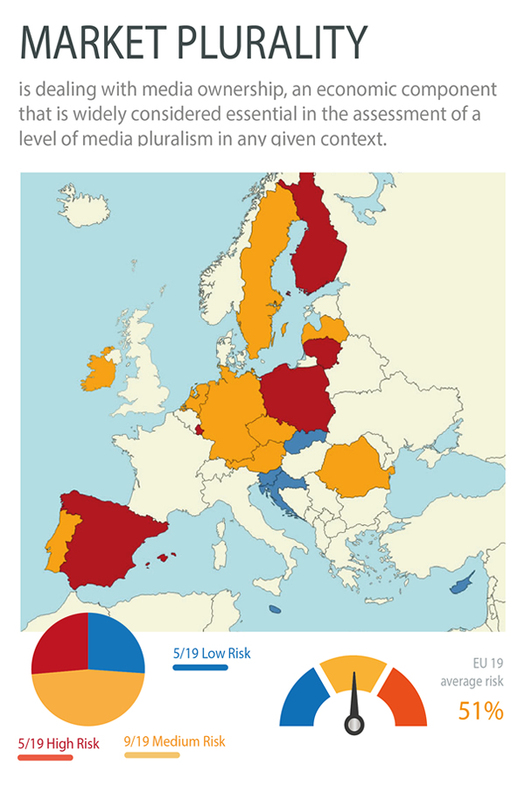 The Centre for Media Pluralism and Media Freedom (CMPF) has released the 2015 edition of Media Pluralism Monitor, one of Europe’s principal measures of the risks to media pluralism. The Monitor has examined 19 EU countries in 2015 and the results show thatnone of these countries is free from risks. The Media Pluralism Monitor (MPM) is a tool that helps policymakers, researchers, and civil society to understand the threat to media pluralism in different media systems through research, analysis and the comparison of country data. La radiotelevisión pública madrileña afronta esta semana un debate parlamentario trascendental para su futuro. Vida o muerte, una vez más. Vida o muerte tras el secuestro: nada más y nada menos. Desde que atraparon su cuerpo las movedizas arenas ideológicas de Esperanza Aguirre, por las que cualquier no afín a su régimen puede ser considerado ‘rojo’, la emisora de la Ciudad de la Imagen se hundió en el fango y no consigue zafarse, no levanta cabeza. Este jueves se presenta ante la cámara autonómica la votación para constituir el Consejo de Administración, resultado de aplicar la nueva Ley de Telemadrid, inventada por Ciudadanos para el PP. Un gran invento. La anterior ley, perfilada a demanda de pasadas mayorías absolutas, no favorecía ya sus intereses. Gracias al tul naranja, el viejo cocodrilo se nos presenta vestido de modernismo y con los labios pintados de independencia (o de despolitización, que algunos quieren que usted piense que viene a ser lo mismo). According to Graham Murdock (University of Loughborough), in a communications environment increasingly organised around digital networks, and with dominant players (such as Google, Facebook, Amazon and Apple) based outside the UK, there is a compelling case for a digital commons and therefore an extension of the BBC’s public service remit. In the UK, the BBC offers ‘the only effective institutional base for a comprehensive alternative to this corporate annexation of the internet’. Furthermore, as Murdock argues, there are series of issues such as the ecological impact of infrastructures, the open source movement, and internationalisation of networks, which all need to be taken into account in policy making processes. Read Murdock’s submission in full here. In this report, we examine how public service media in six European countries (Finland, Franc e, Germany, Italy, Poland, and the United Kingdom) are delivering news in an increasingly digital media environment. The analysis is based on interviews conducted between December 2015 and February 2016, primarily with senior managers and editors as well as on survey data from the Reuters Institute Digital News Report.